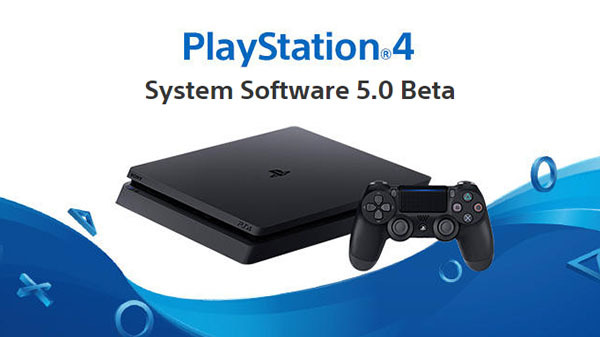 Sony has released a small PlayStation 4 firmware beta 5.0 update, which should address the software limitations for beta 5.0 users caused by the 4.74 update. PlayStation 4 system software update 4.74 has been released. When trying to start certain games, you may be prompted to update the system to 4.74 from the 5.00 Beta. The order in which content is displayed on the home screen will be reset. Download links on the home screen (such as for SHAREfactory or Media Player) that you deleted will be displayed again. Some items in [Notifications] will be deleted. Some items in [Discover] that you have already seen will be displayed again. Activities that were created and some settings you configured while using the 5.00 Beta will be stored on the PlayStation Network server. You may see notifications related to these activities and settings even after updating to 4.74. Please refrain from updating to 4.74 and wait for the upcoming 5.00 Beta 6 update if you would like to avoid these limitations. A new Beta 5.0 update has now been deployed which should fix these issues, and fortunately, users are now able to restore their PS4 console to the latest beta 5.0 version. The PlayStation 4 5.0 firmware update is likely to be released to the public in the coming weeks.